… at Knotty by Nature in Victoria, BC. …porcupine quills used throughout the weaving in decorative ways. Four different ways of weaving. Each person ‘looking out through eyes that shine‘! How beautiful! and how daunting those porcupine quills are! They look so long! They are all beautiful. I especially like the wavy one. Exciting to see such different work in the one class! Thanks all! Yes, it is as Misao Jo says – “all flowers are beautiful, even though each one is different” – so it is with Saori weaving. All started with black warps, an array of yarns to try and everyone wove from what was inside of them – so each is different. 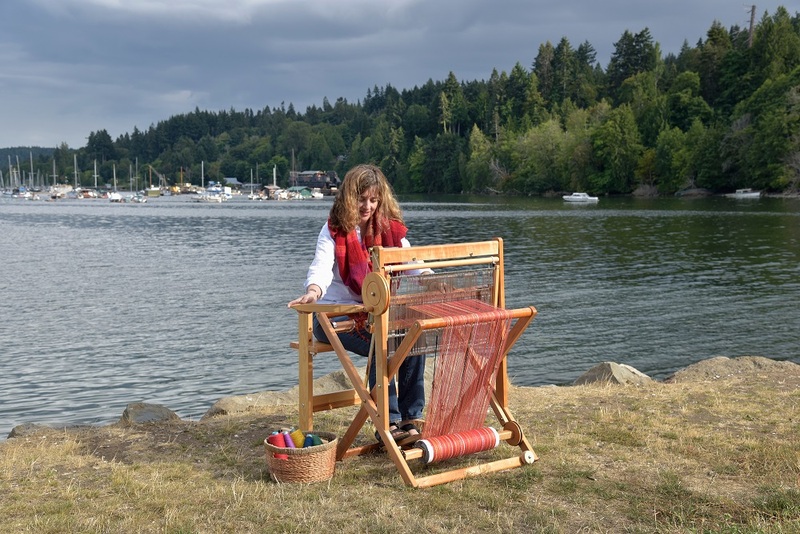 Express yourself, discover yourself – through Saori weaving! I love the drama of those porcupine quills!